And I'm not talking about some vague warm glow from having done a good deed. Oh no, I mean getting to go round breweries and drink vast quantities of free beer. 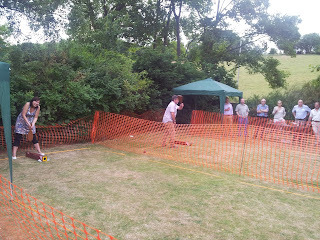 Having volunteered for a shift at Woking beer festival I got to go on the staff outing. This involved being bussed round some of the breweries that won prizes and pouring free pints down your neck whilst they get a certificate. As I'm past my drinking prime the 10 O'clock start was a little daunting, but sometimes you just have to go for it. First stop was Triple fff brewery, near Alton. It was here that I once again found that will power is soluble in alcohol and my plans of pacing myself lasted as long as my first sip. The first pint went down disturbingly quickly and though I did manage to slow things down a little with the second I was soon rushing up for more when a new beer was put on. Oh well, it was free. I mostly drank the stout here. If I remember rightly the beer originated as a home brew before the brewer went commercial. We had sandwiches here which may have delayed slightly my inevitable decline. Next stop was a pub, presumably in case we we hadn't had enough beer. Nice pub it was, probably a tick too, but I can't recall what it was called or where it was. Then it was on to Thurstons in Horsell. I can walk home from here but somehow failed to do so until gone ten, free beer once again winning the battle of wills. It's a good job I didn't have any plans for the next day as drinking an inordinate number of cups of tea was my biggest achievement. 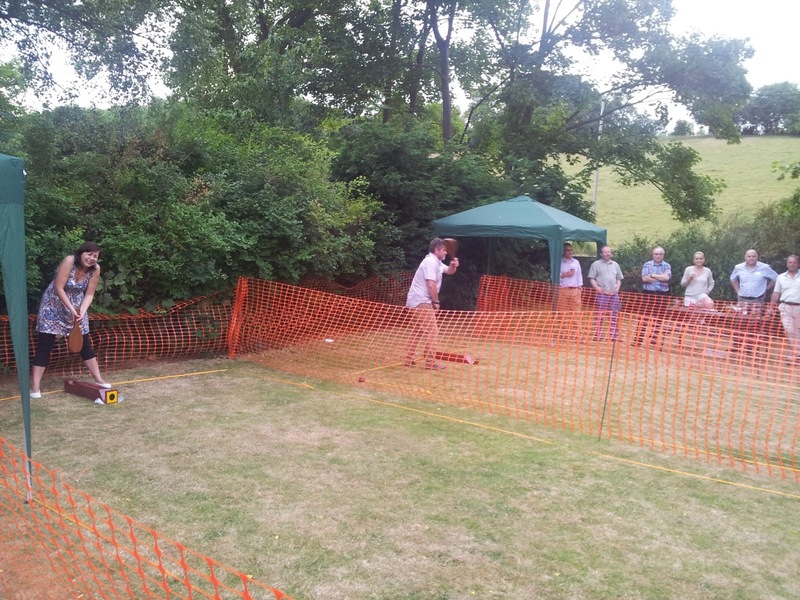 Last week despite my preference for spending Thursday nights hitting people I found myself in a pub in Kent playing bat and trap, a game popular with the locals. Shepherd Neame brewery were having a do and people from various companies they work with were invited. Having recently learnt that there's talk of Sheps avoiding the problem of light strike by using reduced hop extracts, or even no hops at all I took the opportunity to talk to members of the brewing staff about exactly what hops they do use, and how much. Being a traditional Kentish brewery (or is it brewery of Kent?) they do of course use a lot of hops. The core beer range is all hops from Kent (Target, Admiral, First Gold and Goldings were mentioned), and with their craftier beers they've branched out to use foreign hops such as Centennial and Saaz too. As to how much hops they use, the beer I was on, Master Brew (3.7% ABV) has around 35 bitterness units, the sort of hopping rate that would put it in the realms of craft beer if only it tasted of grapefruit. Perhaps they would get more cred if they called it a Session IPA rather than a Kentish ale.